I received the veil very fast. I could not wait to try it and see it, it is absolutely stunning exactly as I hoped. The color perfectly matches the dress I bought also from JJS house. OMG girls! 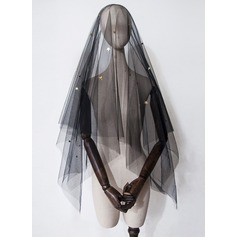 This is an excellent veil. 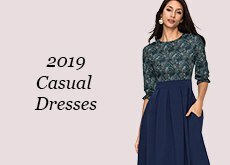 We went to David's Bridal for the gown... we were afraid to order the dress online. 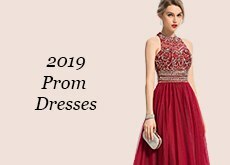 Well, as you can guess David's Bridal is very expensive along with the "tailoring" which cost as much as the dress (forget their $99. 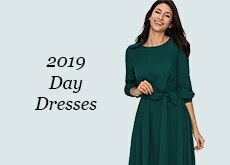 ads, there is NOTHING for $99 you would wear/ there were only maybe 8 dresses and 75% were for KIDS! Not a bride). 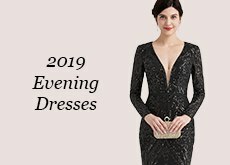 D. Bridal wanted over $100. 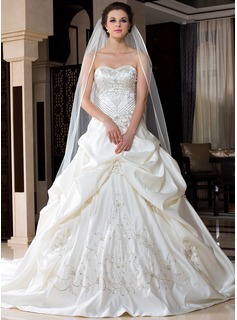 for one tiny, short unlined veil (real cheap looking) I said let's look around. I found JJ's House. 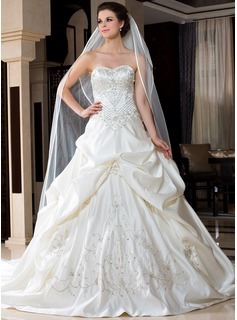 I was a little scared but, ordered in enough time if I had to go back to D. Bridal. WELL! Girls! 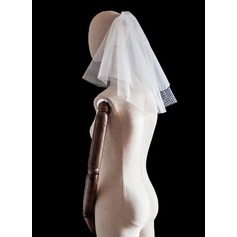 This veil was BETTER than David's. WOW! Fuller, better and just, I'm just so happy and my daughter is thrilled. I don't know how they do it. Now, we got the 2 tier, because she wanted it over her face. 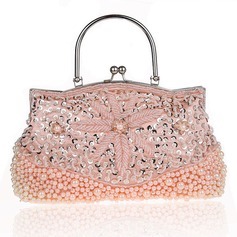 But, it's kind of heavy, so it might be best to wear it as shown; which looks FABULOUS. AND the price! You can't beat it at all! It's a $300. veil which cost us under $20! 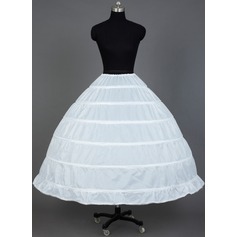 Which makes me wish I started here for the dress. Also, I took a chance on some other things... the pens (engraved), cake cutting set (engraved), little perfume bottles (engraved) and for "the boy" we got him a little penknife thing (engraved). Ladies! These were excellent. I wish I started earlier with JJ's House! 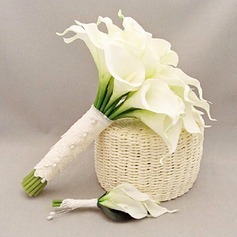 The wedding is Nov.17th so I don't have photos, but I'll come back & try to post photos. 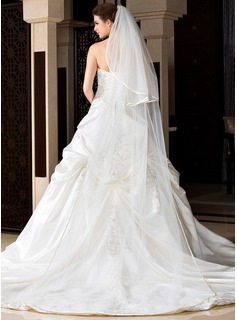 ohhh.. with the veil NOW she totally looks like a real bride... you girls have to get the veil! 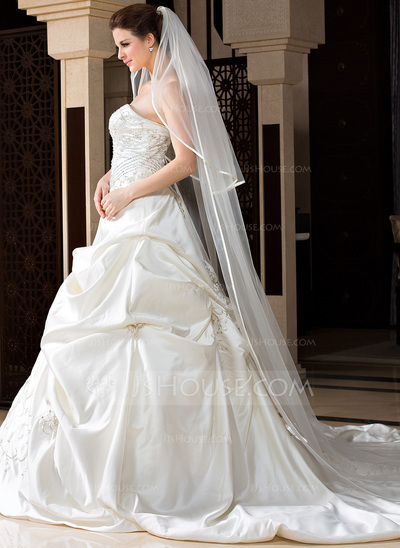 Now, remember the veil is long, so your dress should be chapel length or you might want to get the same length as your dress. It just makes the whole thing ladies. Oh I could go on & on I'm so pleased. THANK YOU JJ'S HOUSE!!!! My sister loves the veil . For a fraction of the cost, she got what she wanted. 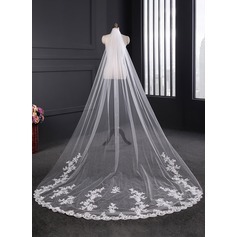 I was a little hesitant getting a veil online but I thought for the price of it I most well give it a shot. It arrived so quickly, I couldn't believe how quick it came I was expecting a week or 2. It came and I was very happy, perfect colour and condition. Looks exactly like the one they were trying to sell me in the shop for $300. Can not wait to wear it on my wedding day. Even thinking of buying another one so I can see which one I like better. This is the one! Great value. The whole experience of ordering and delivery was done in a timely manner. 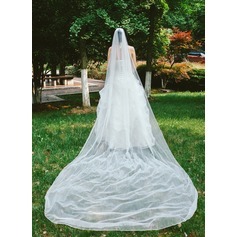 So happy to find an affordable veil to enhance my dress. I actually ordered two veils one long and one short because I wasn't sure of what I wanted. 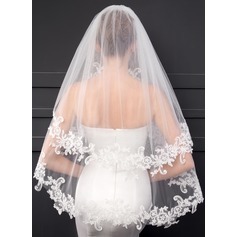 The short one is also nice but I love the long two tier veil. Highly recommend this website. 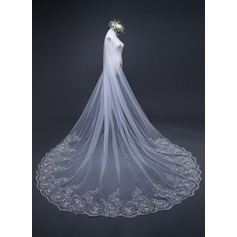 This veil is gorgeous! I still haven't decided which one I will wear for my wedding, the cathedral length is gorgeous and the two tier ribbon edging tops of this beautiful head piece! Heel mooi, goed gemaakt en perfect voor mijn mooie jurk!! !